The Parsons Fashion Study Collection in Virtual Reality project has been selected for NYC Median Lab Summit Expo. The experience features a 1920s evening coat, attributed to designer Paul Poiret. The textile pattern is attributed to artist/painter Raoul Dufy. The coat is one of 4,000 garments and accessories which are part of the Parson’s Fashion Study Collection. The VR experience offers a unique opportunity to experience the garment in its full color and shape in virtual reality. In the experience, viewers can learn about the themes that inspired the artist along with contextual information about the 1920s culture and fashion. Immersive technologies are poised to transform education and with this project we sought to demonstrate their potential. This unique VR experience will be exhibited at the NYC MEDIA LAB 100: THE DEMO EXPO on Thursday, September 20th, at The New School (1PM-5PM). The Demo Expo at NYC Media Lab’s annual Summit is the largest pan-university showcase of emerging media and technology in New York City. As the event’s signature “science-fair,” over 100 projects, prototypes and startups will be on view. The Demo Expo will be held at The New School in University Center’s Starr Foundation Hall and Event Cafe, as well as the nearby Theresa Lang Student Center. 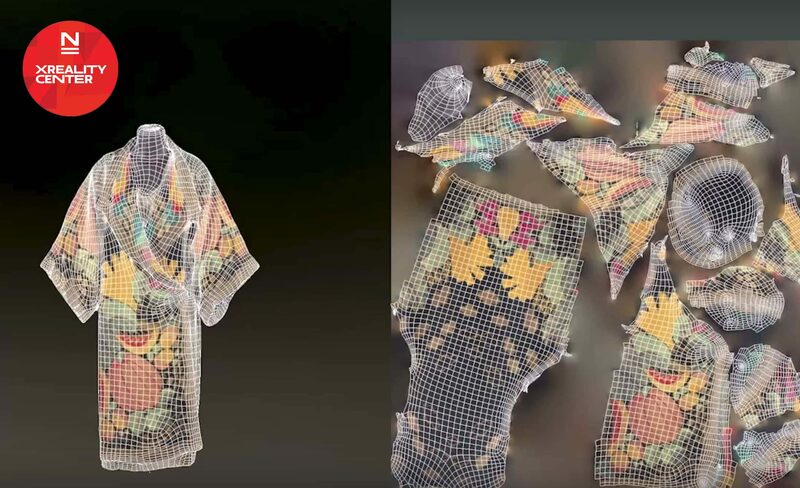 The Parsons Fashion Study Collection Virtual Reality experience, was exhibited at The Parsons Festival in May and is also available to view at The XReality Center. Here is our recap from the NYC Media Lab.